Good Night My Beloved Friend, Engr. Decency Ogonna Okike! In January 1995, we started seeing a new face in JSS 1B class. 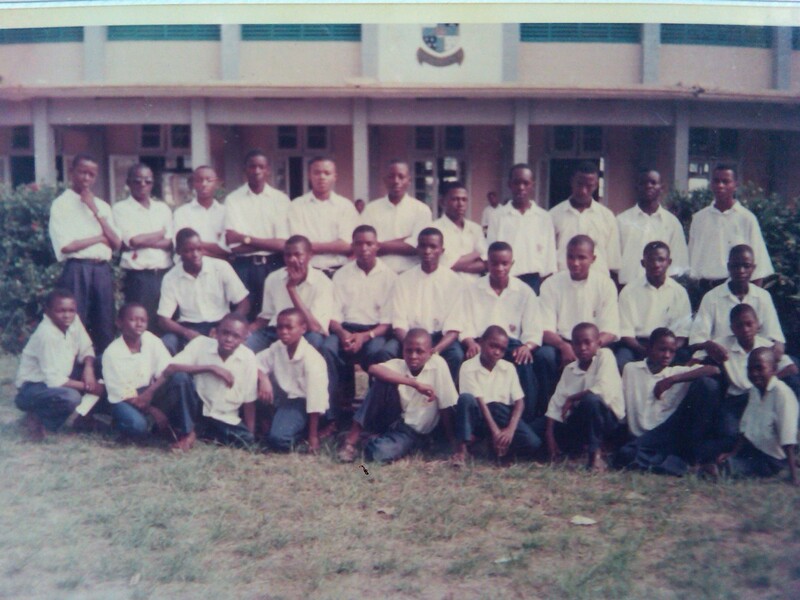 It was the second term of my first year in Government Secondary School, Afikpo. I had thought I was the last person to join the class having resumed by the sixth week of the first term. This new guy was somewhat reserved and very studious. Within a short while, his good academic performance started drawing our attention. Not many would have expected someone who missed an entire term to become one of the top three best students by the end of the session. Ogonna surprised many of us pleasantly. It didn’t take long before we became friends. I usually consider myself as being lazy when it comes to studying even though my academic performance suggests the opposite. I felt being closer to Ogonna who studied diligently might be helpful. He had a very good handwriting and I looked forward to borrowing his notes in the event that I missed classes. For most part of our years in Afikpo, Ogonna and I were the two best students in our class in terms of academic performance. Unlike many who may consider themselves as rivals, Ogonna and I related more like brothers. He treated many of us from Ohaozara who were close to him as brothers and mentored many of our junior colleagues. I was too playful to mentor anyone then. Ogonna did something I would never forget. After our JSS3 examination, I wanted to change school to Federal Government College, Okposi to compete with a friend who boasted that he would beat me academically if we found ourselves in same class. Due to financial constraints, I could not change to FGC but had to return to Afikpo the 8th week with only 2 weeks of classes remaining. I didn’t want to sit for the 1st term examination because I was afraid I would perform poorly and that it may adversely affect my cumulative average. Ogonna and Chidiebere Osuu encouraged me to sit for the examination. Chidiebere was also our classmate and friend, he died in November 2010. They provided their notes for me to copy and prepare for the examination. Ogonna helped to teach me a lot of things I missed. Not many in his position would have helped me given that I had an edge over him in our academic contest. Ogonna didn’t see my situation as an opportunity to overtake me academically. He supported me as if he was my guardian. He also provided similar support when I fell ill during our secondary certificate examination (SSCE). That is the kind of person he was. Ogonna (middle row, 3rd from left) and I (next on his left) with other members of GSS, Afikpo Press Club in 2000. More so, Ogonna and I ran the Press Club of Government Secondary School, Afikpo very successfully. I was the editor-in-chief and he held the post of the Associate Editor – the second highest position in the club. We also revitalized the Science Club; he was the Secretary while I was the president. He was a great team player and one of the most dedicated persons I’ve ever worked with. Our administration in the clubs was full of success stories and Ogonna played pivotal role in all we achieved. During our final year in GSS Afikpo, we both sat for the University Matriculation Examination and were the only students in our class that chose the University of Ibadan where we wanted to study medicine and surgery. We both moved to Lagos after our secondary education. My application to UI was successful but Ogonna’s wasn’t. While I was getting support from my elder siblings in my education, Ogonna didn’t have older ones to do same. Our parents were poor. He was the only son. He took up the challenge of creating wealth for himself and the family. He struggled on the streets of Lagos. I usually visit him on Saturday nights and after fruitful discussions about life and our future plans, we would sleep on a mat in a video rental shop in Anthony Village. We would then visit Ndubuisi Igwe at Alapere (Ketu) on the Sunday and share the memories of our Afikpo days. Ndubuisi was also our classmate and friend. The pleasant stories of my 18 years friendship with Ogonna are too many to narrate. 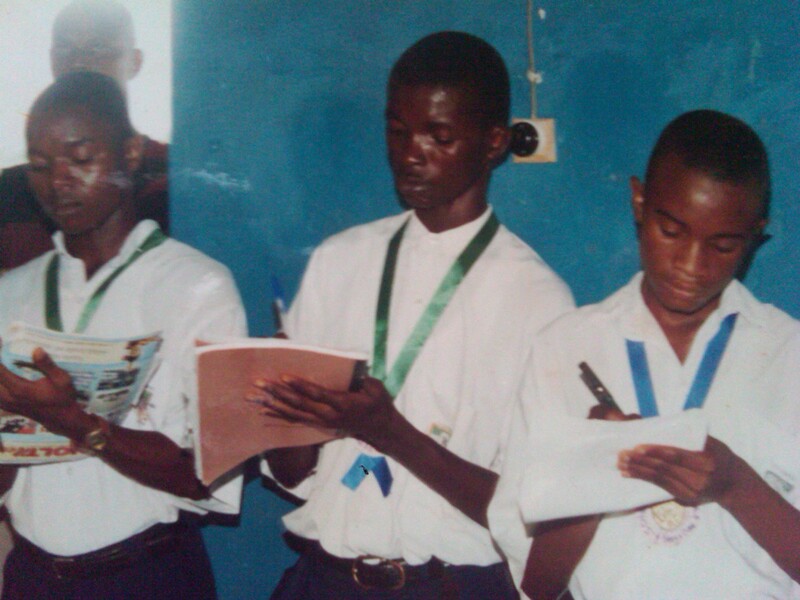 L-R: Ogonna, I and Nwankwo Uzoma covering 1999 Old Boys homecoming as pressmen. Ogonna, very intelligent and diligent, progressed from being a street trader in Lagos to becoming one of the most successful young entrepreneurs in Ohaozara. While running his business in Onicha, he also obtained HND in Electrical Electronics Engineering and completed his NYSC program in 2011. At every stage of our struggle, we shared information on our progress and dreams. He was my close confidant. Though we operated largely from distant locations over the past decade, it didn’t count because we were always in regular communication with each other. How would I have known that my elder brother’s wedding which Ogonna attended in May 2011 would be my last eyeball-to-eyeball contact with him? Chi jiri ehihie jie! April 24, 2013 was one of the saddest days of my life as I woke up to read Ndubuisis’s SMS that Ogonna died in a fatal road traffic accident. Death is so cruel. It has dealt another big blow on me. Ogonna’s death is an unquantifiable loss. I’ve lost a close associate who has contributed immensely to my success. Ogonna lived a very humble life and served as a role model to many of us. How would I have known that our phone conversation a couple of weeks before his demise would our last? Why would death deny his little baby the love and care of a father like Ogonna? Why would death make his beautiful wife a widow only one year after their marriage? Why would death take away such a great son of Onicha and Ohaozara at this time? 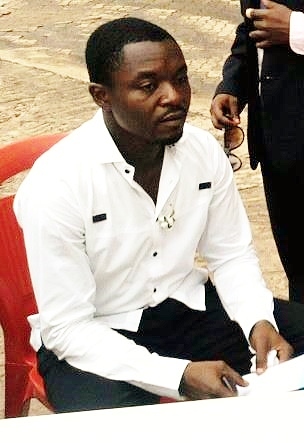 Who will console Ogonna’s lovely wife, mother and sisters? Who will console us – his friends? I can’t describe how devastated I am. As the wake-keep was going on in Onicha, I couldn’t sleep in United States. I kept remembering our years of fruitful friendship. I write this with tears and excruciating pain. I’m finding it difficult to believe he’s gone. Ogonna, I will always love you. I will keep your memory alive as long as I live. I know your soul is already resting with our creator, and your body would return to mother earth today (May 25, 2013). It is so painful to refer to you with past tenses. I will miss you Ogonna. I will miss you so much. My prayer is for God continue to bless your soul and console every one of us. Good night, my beloved friend. So sorry…. Ndo…. Enyim. May his soul rest in d bossom of Jesus..
Laz,its indeed a painful death. May Ogonna’s soul rest in perfect peace. May his heroic soul rest in peace. Ogonna was an amiable personality. He was a goal-getter. Ogonna stops at nothing to get what he wants. He was a perfect gentle man but very dangerous in academics. During our School days in GSSA, i had always admire his courage and wisdom. He left a powerful nd positive prints into every one he came across. Indeed Ogonna left a shoe too bogous for his family nd friends to wear. Death why are you this wicked? But we take solace in God… may his gentle soul rest in peace.